Herb is survived by his son, Raymond E. (Charlene) Dailey, his son, Richard W. (Ann) Dailey, and his daughter, Barbara J. (Timothy L.) Osborn, his grandchildren, Rachael E. Dailey, Richard J. “Rick” Dailey, Sarah E. Dailey, Caitlin D. Osborn, Kristin L. Osborn-Earle, his great-grandchildren, Mekinna Davis, Hayliegh Davis, Addison Dailey, Jaxson Dailey, Lynlee Smith, Lynnox Dailey, Emma L. Osborn-Earle, and Ever L. Osborn-Earle. 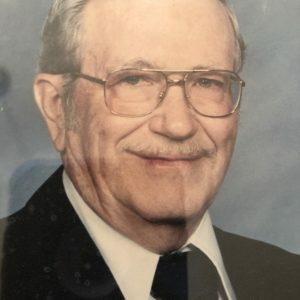 He is deeply missed by his siblings including Dean F. Dailey, Phyllis Irene (William) Heineman, and Carl R. (Madeline Kay) Dailey, as well as numerous nieces, nephews, and cousins. Herb is preceded in death by his wife of 43 years, Marilyn R. Hall Dailey, his parents, his brother, Wayne L. Dailey, his sister, Velma J. Dailey, a sister-in-law, Alma (Dean) Dailey, and a brother-in-law, Herbert Hall. Friends and family will be welcome to attend calling hours for Herb at the Farus Funeral Home of New Concord on Monday, March 25th from 4 to 7 PM. Services will be held at the Norwich United Methodist Church at 11 AM on Tuesday the 26th. Pastor Roger Morrow and Wayne Hogue will officiate the service. Burial will follow at the Norwich United Presbyterian Cemetery. In lieu of flowers the family asks that memorial contributions be made to the Norwich United Methodist church, Genesis Hospice or the Alzheimer’s Association.